So, you’ve got your charter trip booked and you’re all ready to go. Well, almost ready. You’re probably wondering: what do I wear? Well, we’ve got you covered. Here are a few things to keep in mind when dressing for your charter! You’ll be active out there on the water, scouring and battling for your big catch. And when you’re not scoring your winning catch, you’ll be relaxing. After all, it’s your day out on the water, away from the hustle and bustle of your daily routine. So, when dressing in the morning, make sure that you’re actually comfortable. Wear clothes that you know you can hang loose in, that won’t become a problem later. Because it’s the water, temperatures can change fast. Sometimes the weather can drop or go up 30 degrees in just a matter of hours; believe us, it happens. So, you’ll want to wear clothing that can brave these fluctuations, with detachable parts if it gets warm, and carry-ons at the ready in case it gets cold. Now let’s talk about an important part of fishing wear: your shoes. You’re sure to be on your feet all day, on a boat that will likely get wet at some point. So, a light-colored, soft-soled shoe is the way to go. We recommend deck shoes, boating shoes, or Crocs. All of these will pair well with whatever the water has in store for you. With these tips in mind, you’ll be dressed for a fishing charter trip success. And if you haven’t booked your trip yet, come with us aboard the Triple Trouble! 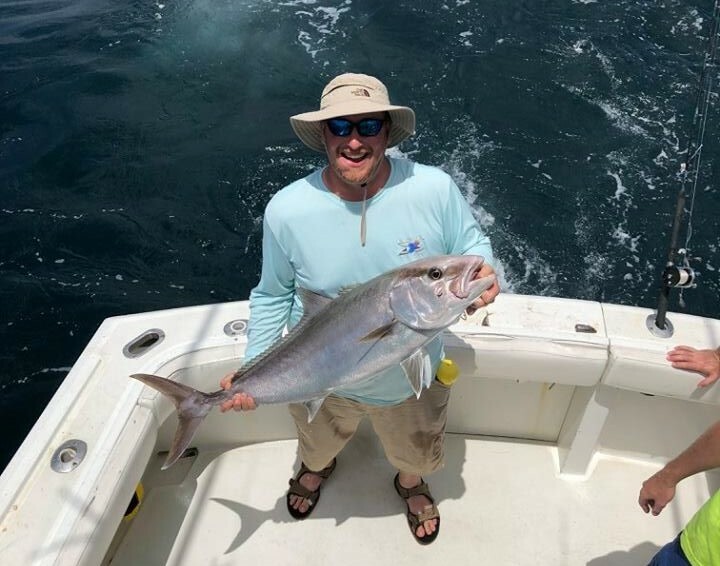 Give Captain Chad a call at 256-431-5767 or email him today to learn more about booking your charter trip.